The calendar says it's spring, even though some of you are still seeing snow out your windows (whew, what a winter you've had!). 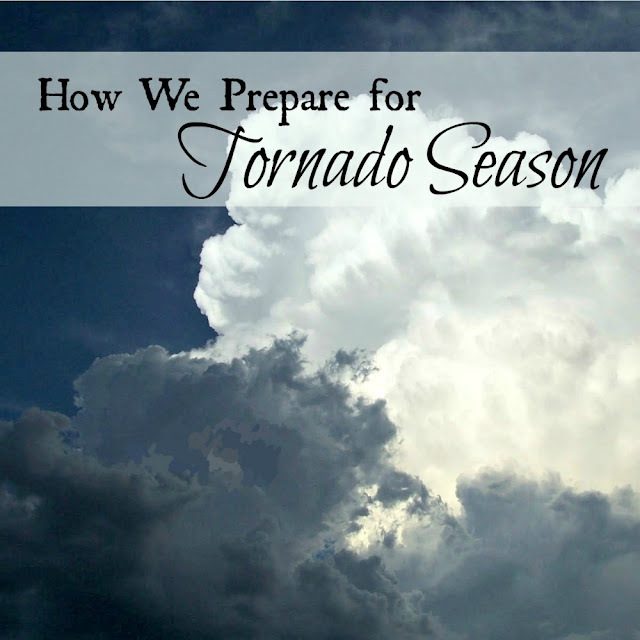 Take heart, for spring is coming. I guess the ground hog was right this year. 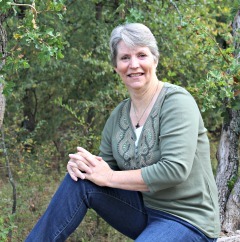 My perennials are coming back to life and the wild plants are turning green. Every year I'm thankful to see the return of the plants that encompass my salve garden. Some of these plants are wild and don't actually live "in" my salve garden; they grow in sheltered places in my yard and in the pasture or in the fallow fields. But they are easy to find and I harvest them a few times over the growing season so I'll have enough to make new jars of the salves we use throughout the year. When foraging for wild herbs and plants to make salves, don't harvest along roadsides or other areas where the plants could be contaminated. This is why it's best to grow them in your own salve garden or yard. 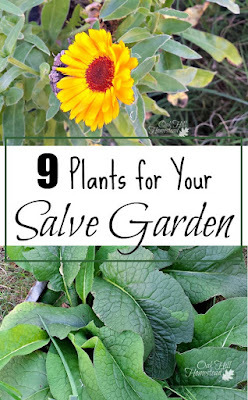 If you'd like to gather salve-making plants or grow a salve garden of your own, here are the nine plants I count on each year. Plantain was one of the first wild plants I learned to identify, and the first salve I made was plantain. 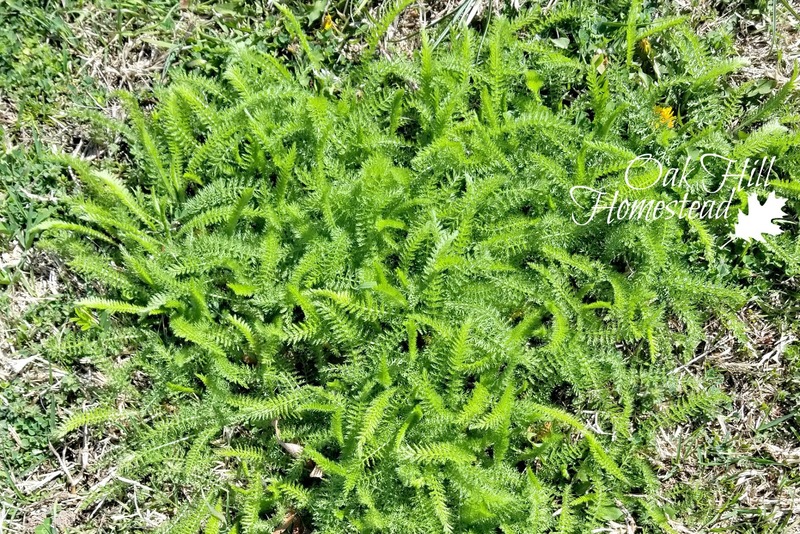 It grows in disturbed places and I've found it in our driveway as well as in the fields. It's easiest to spot when the seed heads are present. 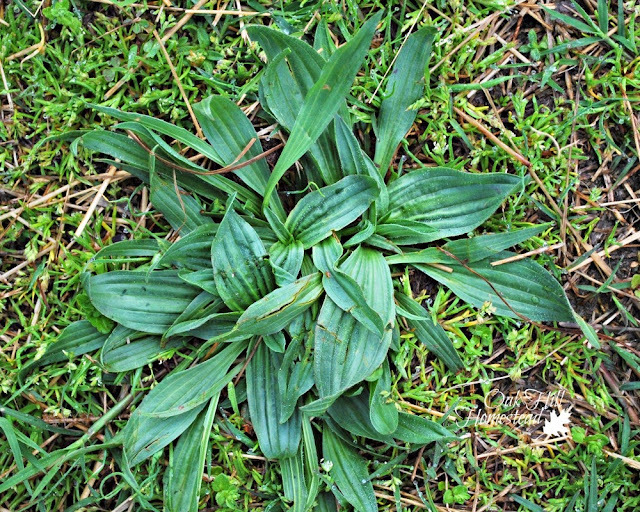 I've written before about how to identify plantain. 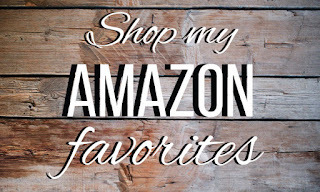 Plantain salve is wonderful on itchy insect bites. One thing Oklahoma has in abundance is bugs! Ticks and mosquitoes love me, I'm afraid. Plantain salve soothes the bites almost on contact. I even carry a small jar of it in my purse. It's also effective on poison ivy, minor sores, bruises and blisters. It's not effective on scorpion stings. Don't ask me how I know that. No salve on hand? You can mash up a plantain leaf (chewing it for a few seconds works well for this) and apply it to the bug bite for relief. You can use either narrow or broad-leaved plantain leaves in salve, or use both if you are lucky enough to find both kinds. 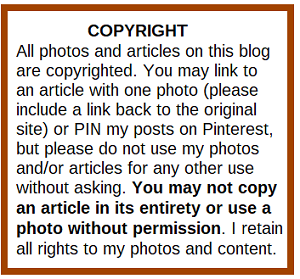 You'll find directions to make plantain salve in this previous post. Yarrow is known as "nature's bandage" because you can cover a wound with the leaves and stop the bleeding. Salve made from yarrow flowers and leaves soothes rashes, cuts and scrapes, and swelling. 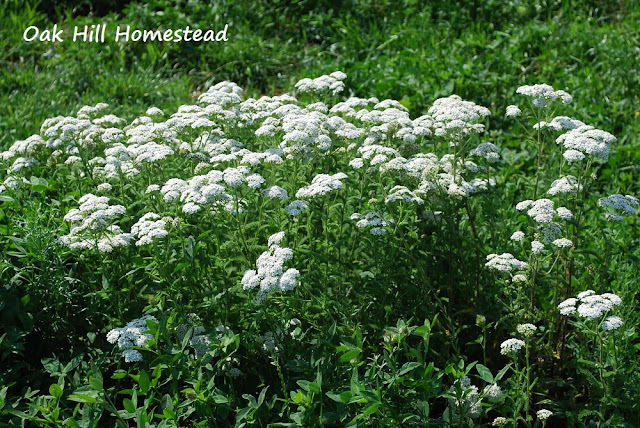 Yarrow's white flowers and ferny leaves make it easy to find in my horses' pasture. There are also cultivated varieties in other colors. Yarrow is a hardy perennial that attracts butterflies and is attractive in bouquets. 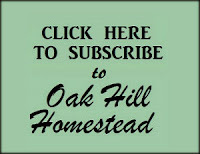 It likes hot, dry conditions, full sun and is drought-resistant. 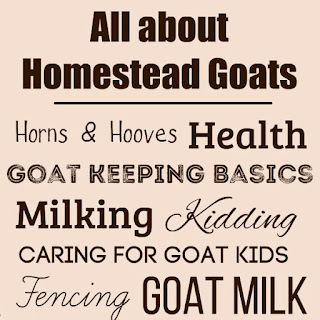 No wonder it grows so well here in Oklahoma. Chickweed is an excellent herb to use on skin irritations and minor burns. 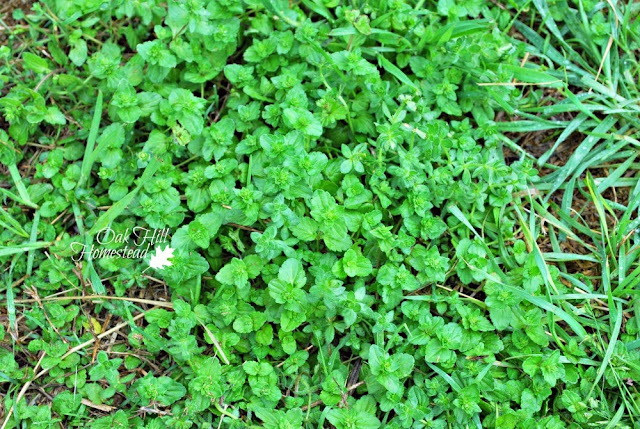 Chickweed grows wild here in early spring, a low-growing plant with tiny white flowers and a row of tiny hairy fibers on the stems. An annual that reseeds itself readily, chickweed can even be eaten raw or cooked as you would spinach. Simply spread chickweed seeds where you want them to grow - it likes light shade and slightly damp spots. It forms a carpet of bright green in the early spring; when it blooms later in the year the plants will become leggy. Salve made with chamomile flowers is good for minor cuts, scrapes, abrasions and minor wounds. Two more reasons to include chamomile in your herb garden: the flowers are pretty and drinking chamomile tea is thought to calm the nerves. There are two types of chamomile: Roman chamomile is the true herbal variety but German chamomile is used almost interchangeably with Roman. 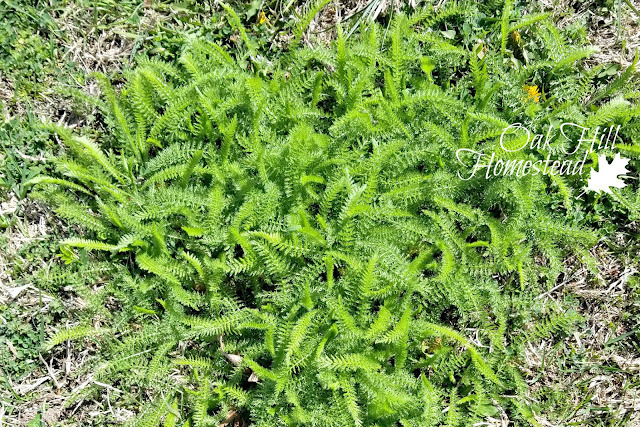 Roman chamomile is a creeping perennial while the German variety is a reseeding annual with an upright growth habit. It's easier to start chamomile from transplants or divisions than from seeds, but it can be done. It prefers cool conditions and part shade, with dry, well-drained soil. Seeds can take 14-21 days to germinate. Calendula is an annual that I grow from seed each year. 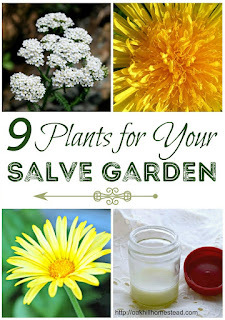 Salve made with calendula flower petals is soothing on bug bites, rashes, scrapes, cuts and much more, including diaper rash. Calendula is mild and gentle and is suitable for use by babies and those with sensitive skin. 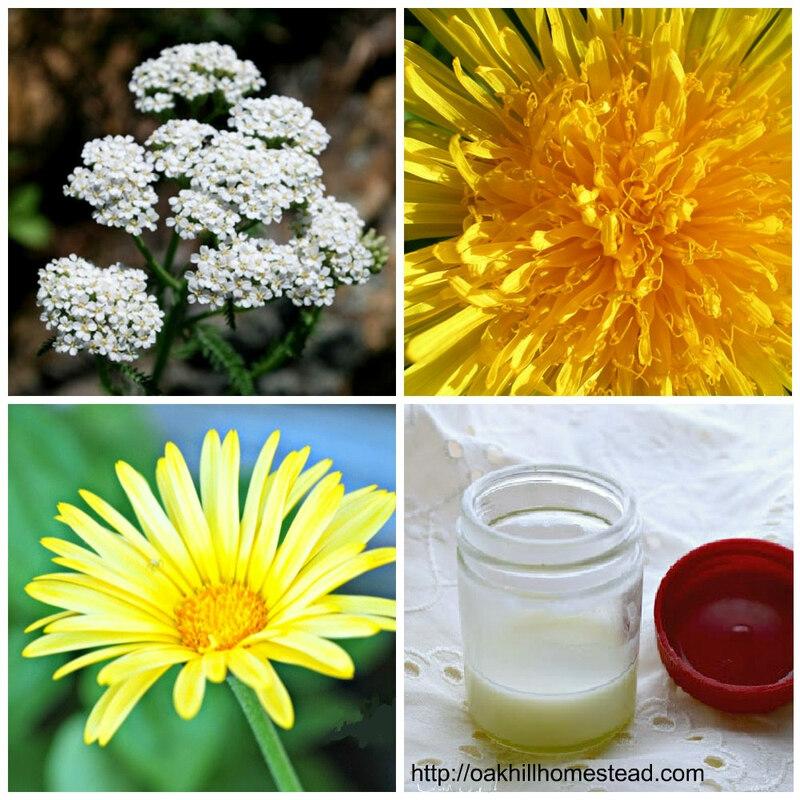 If you have children, calendula salve is excellent to have on hand. Sow calendula seeds outdoors after the last frost. It prefers full sun but will tolerate partial shade. Since the flower petals are the part used to infuse oil for salve, deadhead the spent blooms and fertilize lightly to keep them blooming all summer long. Lemon balm has antiviral properties and helps prevent infections. It's effective on bug bites, rashes, cold sores, cuts and other wounds. I have several big pots of it in my herb garden; I love to brush the leaves and inhale the bright, lemony scent. In fact, lemon balm is effective in aromatherapy as an antidepressant. A member of the mint family, lemon balm prefers cool soil, afternoon shade and moist conditions. It's easiest to grow from transplants, which are usually easy to find at the nursery in spring. I've also added the leaves to tea and smoothies for a bright lemony flavor. Comfrey salve is well-known for its healing properties. It relieves pain and swelling, and supports muscles and bones. 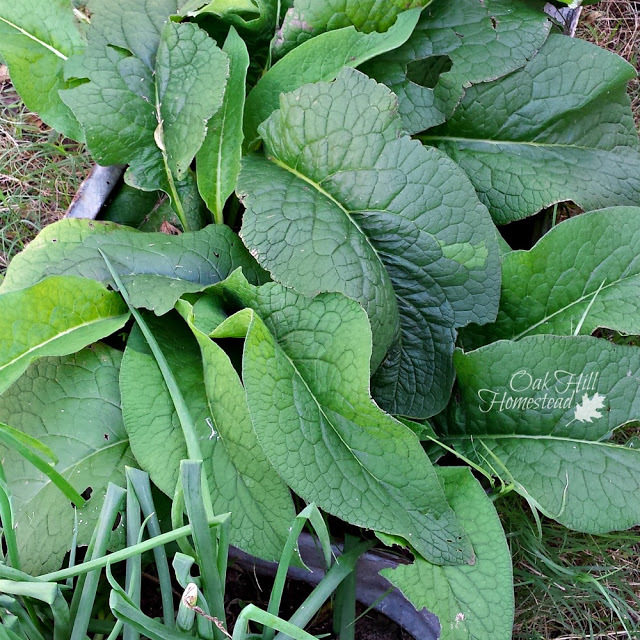 I used to buy comfrey at our local health food store, but now I grow my own. I've made comfrey salve and have also added comfrey leaf to my plantain salve on occasion. Here's why you should grow your own comfrey too. Russian comfrey is grown from root divisions and will grow quite large. If you need to transplant it later, any roots left in the ground will result in new plants, so choose your location carefully. Cayenne pepper salve addresses arthritis, sore muscles, and sprains. It works well on muscle and nerve pain because the capsaicin in cayenne blocks a neurotransmitter that sends pain messages to the brain. Cayenne pepper salve is made from the peppers (or if you don't have them growing in your garden, you can use a jar of cayenne pepper from the grocery store). Like other peppers, cayenne plants are frost tender and need to be protected from cold weather. Start seedlings indoors or buy transplants and harden the plants off before planting in the ground or in containers after all danger of frost has passed. Too much nitrogen in the soil will produce lush and lovely plants but few peppers, so fertilize sparingly. Dandelions are another useful weed. 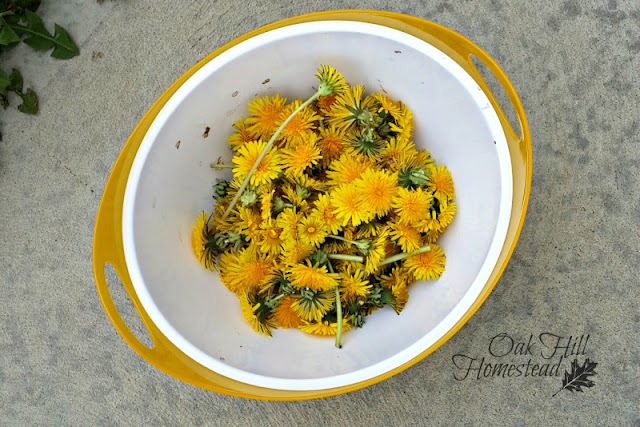 Many people hate them and my father spent hours digging them out of his lawn, but dandelion salve helps relieve rough, dry skin, sunburn and more. Gardeners hands and dry winter feet are no match for this luxurious, moisturizing salve. 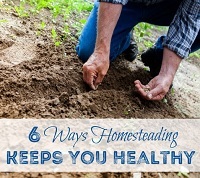 Harvest the flowers from areas that haven't been exposed to lawn chemicals or, umm, loose pets. You don't want to use contaminated plant material. Directions for making salve are pretty universal: infuse the herb in oil, strain plant material from the infused oil, measure the oil, melt the beeswax, add the oil, add essential oils if using, and pour into small jars or tins. 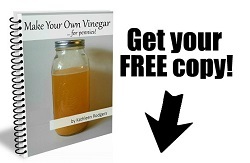 You'll find more detailed directions in Making Salves and Ointments. While all of these plants make excellent salves on their own, I often make a combination salve with plantain and one or more of the other plants listed above except cayenne. This can be done in one of two ways: you can combine oils that are infused with single herbs, or you can double-infuse the oil, infusing one herb first, then straining the oil and infusing another herb. However, if you're just venturing into the world of infusing oils and making salves, start with a single herb for your first project. Seeds for many of these plants are available at Mountain Rose Herbs, Baker Creek Heirloom Seeds and Strictly Medicinal as well as smaller companies such as Mary's Heirloom Seeds. Mountain Rose Herbs and Strictly Medicinal also carry dried herbs if you prefer to buy your salve-making materials. Or if you're looking for even more plants for your healing garden, check out 12 Best Healing Herbs for the Homestead. Hi Lisa!!! It's good to see you!